We’re feeling a tad romantic today, therefore, this post is dedicated to wedding songs. Whether it’s for the first dance, father-bride dance or a song for the guests to dance to, choosing the perfect song can get tricky. It has to be perfect right? Right. So, let us help you narrow down your choices and ease your mind by offering you some of our top wedding song choices for the perfect dance – some old, some new, some classics. I’m sure at least one of these will speak to you. Enjoy! Getting engaged is nothing short of exhilarating, but as a newly engaged person, you are pretty much diving into the unknown when considering the steps and process that follow. Where do you start? Being the experienced event planners that we are here at Kari Lywood Events, we are going to let you in on our secrets (well, tips) on how to start the process after getting engaged. Before you can make any moves, you need to know what you want for your special day. Do you want a big wedding or a small wedding? What type of food do you want? Do you want a traditional wedding or maybe something a little more modern? It’s important to organize all your wants and needs or planning could get messy and frustrating pretty quickly. Once you have decided how you want your wedding day to be, it’s time to share this with a professional. Congratulations, you’ve made a smart move my friend! Even after you know what you want for your day, you will need someone there to tell you what will work and not work and how to make proper choices. You will be making endless amounts of decisions during the wedding planning process so you will need someone there to organize your thoughts, offer you advice and basically just take the stress off. There’s nothing worse than not being able to enjoy your wedding planning, or the actual wedding day for that matter. This is supposed to be a happy time – you don’t want to look back and cringe at the thought of ever doing it again. 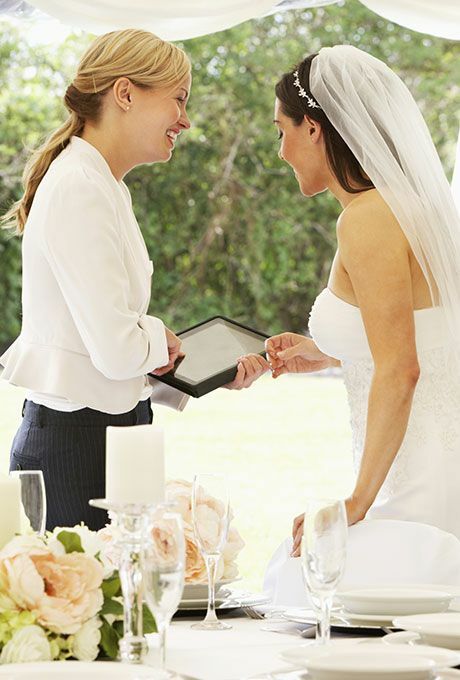 Simply meeting with a wedding planner, and hearing what they have to say, will take the edge off. It’s easy to say you want a wedding planner; it’s even easy to find one. Don’t settle for just anyone who has the title – do your homework. When you have a wedding planner in mind, research their past weddings, call references and meet with them before sealing the deal. Bottom line: make sure they know what they are doing. Without a doubt, when someone is newly engaged, wedding ideas will pop into their head on the daily. When this happens (because it will) write down all these ideas, research pictures, put everything into a book so you have something to go by. 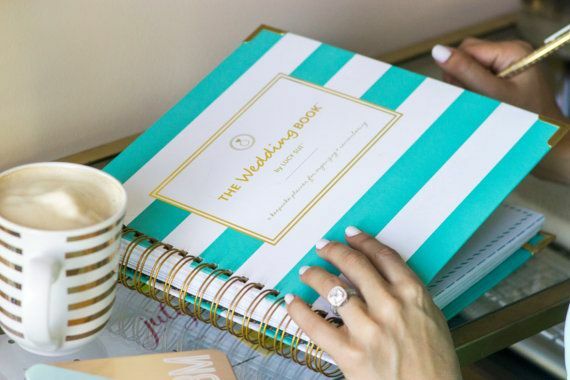 Save this book for every meeting with your wedding planner. Don’t get us (or this blog) wrong; of course, there is much more to the process after getting engaged, but these steps are crucial and will really get the ball rolling. Congrats and happy planning!